South Central Neighbourhood Partnership Active Living Action Group is hosting its second Information Day which will provide the opportunity for local people to find out what activities are available to them both locally and across the city. 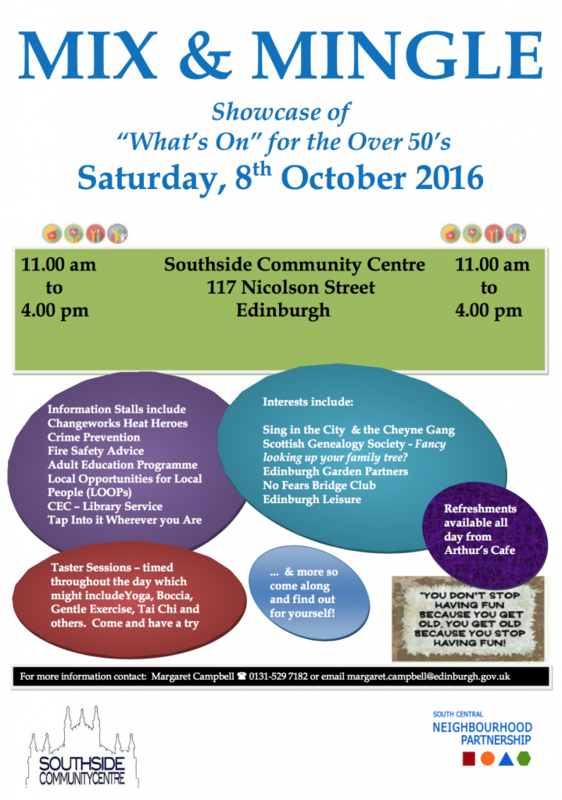 The event is aimed at people aged 50+ but everyone is welcome. We have a number of interesting stalls and taster sessions, so please can you distribute through your networks and more importantly, come along on the 8th with friends and family. You can download the poster here – please can you display where appropriate. You can get more information from our website. Nearer the time we will list all of the contributors.